As I mentioned in my post last week, Palm has just released a new Treo 2in1 Headset Pro ($49.99) and I naturally purchased one for review to compare it against my current favourite Seidio 2in1 Earbud Retractable Headphones (special offer $24.95 for a limited time). There is no doubt that the overall build quality of the new Treo 2in1 Headset Pro above is top notch (it is quite possibly made by Sony) so on this front I certainly had nothing to be disappointed about. The high-performance earpieces above feature a comfortable in-ear design but I was extremely disappointed that only one set of medium sized ear tips came included instead of the typical three (small, medium, large for different ears). Also, while the sound was good and extremely loud at max volume I found it to be a little bit too ‘flat’ with my music. The in-line control unit above includes a call answer/end button at the front, a rotating volume control on the side and a mute switch slider at the back. The microphone delivers very good inbound and outbound sound quality with people telling me that they didn’t even know that I was on a headset. However, I found it a little silly to have only one microphone located at the back which typically faces your clothing (obstructing the mic) instead of two (front and back). Leaving aside subjective build, design and audio quality matters, the only truly ‘unique’ feature that the Treo 2in1 Headset Pro provides is the mute switch functionality. However the Headset Pro delivers this at twice the price of my favourite Seidio 2in1 Earbud Retractable Headphones pictured above and without the benefit of the retractable system which I find so practical. Therefore, if you’re looking for a 2.5mm stereo retractable headset with microphone to make and answer calls, listen to your music with Pocket Tunes Deluxe and/or watch movies with CorePlayer my best choice and recommendation is still very much the Seidio 2in1 Earbud Retractable Headphones. I like your recommended 2-1 Seidio headphones. 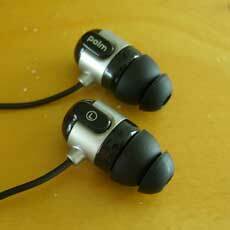 However, the earpieces are too large and are uncomfortable to wear for long periods of time. I wish they would come out with in the ear earpieces. Rich - yes, in both cases the music on your Treo will automatically pause when you receive a call and (most of the time) resume when you end your call. This is without a doubt a great Treo feature. I have had bad fortune with the Seidio 2 in 1 headsets. I have had to replace the first set and now the second (replacement set) is no longer working. I am considering a purchase of the Palm version. I use the Seidio headphones quite a lot. 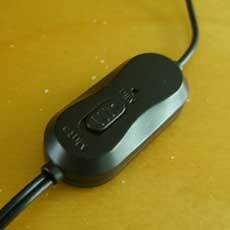 I also have a set of the adapter (no headphones) where I plug in my Shure noise canceling headphones (3.5mm plug). I thought the sound quality was great and the retractable cord is very convenient. However, both sets of head phones failed in the same way. The mic/volume control started to cause interference and loss of sound whenever I adjusted the volume. The first pair stopped working all together. The second pair also had the cover of one of the ear buds fall off. And the speaker in that bud stopped working. The good news?? Treonauts customer service took really, really good care of my problem! I am now a Treonauts customer for life. Gerry - Seidio DOES make an in-ear version of this headset. Anyone have experience with these? I've been seriously considering them, but I'm hesitant since I haven't really heard much about them yet. I was rather unimpressed with the audio quality on the in ear ones. It's hard to describe the exact problem, but the sound seemed a bit tinny for me. For phone calls and spoken audio the thing worked great. It fell a bit flat for music. Mark, I had a set of the 2-in-1 retractable Seido's fail in exactly the same way. The second set is still going strong, but something about the way that volume dial is built isn't very sturdy. I should have disemboweled the thing to see what it was. It's probably oxidation on some metal part that could be scoured away. At $30, I just got a new set though - I was too lazy even to deal with a return and I had used the heck out of 'em. Yo know, palm should bundle this with the 680 an include it in marketing to encourage users to use the treo as their music and media player. Yeah, I have the Seidio 2-in-1s. I've also had lots of bluetooth and in-ears before, and they gather dust now. I wish the sound from the Seidios was better for music, but I can't give up the unbeatable price and convenience. I tried to like the Seido 2-in-1's but found the tonal quality very poor. I decided to take a chance on the new Palm offering and am very pleased. I miss the retractable feature though. 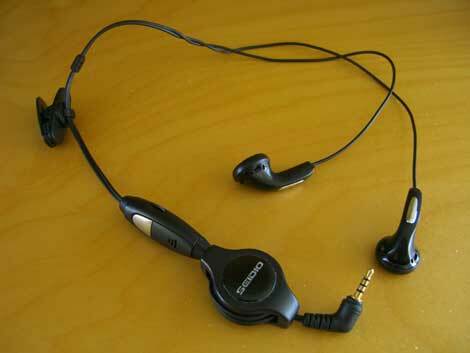 I had the Seidio 2-in-1 headset for my Treo 600 for a year and then one side stopped working (no sound in that ear). Can I get this fixed somewhere? It was great while it worked - I liked the sound quality and liked being able to listen to music and take calls when they came in. 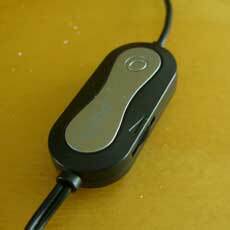 I bought the retractable 'regular' Seidio headset (one ear) a while back and never got it to work. It either wouldn't retract or wouldn't un-retract. Plus I couldn't get used to the funky ear thing. I found the Seidio in-ear to have really subpar quality. I too would like to use my Treo as my music player but without a clean plug with awesome headphones (and no adapters), I will continue to use my iPod. Check out the Sony MD-EX71SL for $50-- best in ear headphones I've found for the price-- really night and day compared to the Seidio. When is Skullcandy going to fix this problem??!! Headset Repair Update: I was told by Seidio that the retractable headsets have only a three month warranty and I was past the warranty period. They offered me a 15% discount toward the purchase of a headset from Seidio's on-line store as compensation. Is a 3-month warranty really typical for headsets? I think that warranty period is an important comparison item. What is Palm's warranty on the new headset? Could not find it listed on their website. I have bought my last Seido headset - I will look elsewhere. Nice review. I am still sticking with my Shure ic3-t headphones though. I waited a week for this review and I was hoping that this review was a direct comparison with Seidio 2-in-1 In-Ear Isolator Headphones to Palm's new Treo 2-in-1 In-ear headphones but its not. 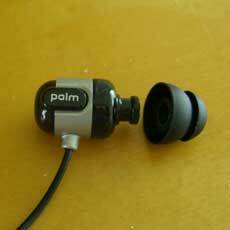 I have a need for decent 2-in-1 in-ear and wanted to know if Palm's was better then Seidio. They are both at the same price. Ive tried 4 or 5 different headphone combinations to date and none of them seem to quite work right. On this reviews recommendation i bought the Seido 2in1 and I'm happy to have much better stereo sound than I was used to. BUT the call quality is terrible! Theres a horrible buzzing noise on the other end when I use them to make a call? are my earphones defective? I concur with Michael. Listening to music through this headset is great. But after all, the Treo is first a phone. And folks at the other end complain about the buzzing noise. So, I've stopped using it! Got the same set for my wife who has the same problem. Anyone else having the problem? For us, its wasted money! Does anyone else have headphone jack problems with their Treo? My Treo 650's headphone jack seems to have completely died after being out of phase for a little bit. I have the Seidio retractable headphones and I cannot get the music to come back on after I end the call any suggestions? I am using the stock Real Player that came with my Treo 650. Also to pause music on my own or two fast forward a song I have to take the Treo from my belt clip?? Am I missing soemthing or these features do not exsist. 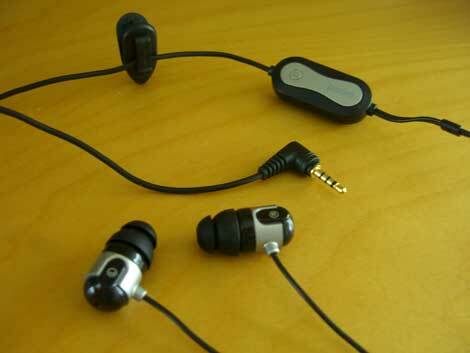 I am trying to purchase Seidio 2in1 Earbud Retractable Headphones which you write is being sold for $24.95. I price quoted in my cart is $34.95. Can you please rectify this. I bought the seido 2-in-1's. They work fine for phone calls, but wen playing music the sound will only come out the speakerphone (700p). Has anyone expereinced this - & - do you know how to to get the music to come through the 2 in 1's? My "glass is half full when it comes to Treo stuff" says the Seidio 2 in 1 headsets is the worst piece of garbage foisted on the Treo lovers of the world. I too ran into the same problem as Mark with the first two. The first one lasted a month which was about 6 sessions of listening on airplanes. The second one lasted 1 week. When I contacted Seidio I got the same offer as Mark (15% off). I decided to take it out of spite because now I would baby the living daylights out of it and see how long it lasted. ANSWER: three listening sessions! I will never buy anything from Seidio as a result of my experience with the garbage stereo headset. Just in case I get "what the heck, it is fine with me" responses. I have tracked ALL failures back to the very low quality wiring which shorts out in the rubber connector boots. Even though I can swear with all my heart that the last set never once saw the wire bend more than 45 degrees. I tried repairing all three and no go. I might add that I work on very small ICs for radio controlled 1:28 cars and this wouldn't have been a problem if the Seidio used decent wiring. Same problem as Vidiot (Nov. 22nd post #18). Just bought the 2-in-1 from Palm, after having tried 3 other sets, courtesy of the Best Buys store & their return policy. After 3 non-Palm units, & then the Palm-branded one NOT giving both in-bound AND out-bound speaking sound, I've concluded that the jack IN THE TREO 650 may be the problem. Palm will be delighted to "repair" it for "only" $199, if I care to send it to them. Kinda pricey for a defefctive jack, I'd say. Anyone have any other suggestions how to fix, or tweak, the jack in my 650, so it will work? Is there a bluetooth wireless heatset option that will work with the MP3 player on the Treo 650? I have had the speaker die on 2 Treo 650's - I think because the adaptor jack thinks the plug is still installed.